We cordially invite all sisters in recovery to join us for a joyful weekend exploring the WFS New Life Program as we celebrate this year's theme: Hello Happiness! We are excited to continue to increase the value to our guests with multiple keynote speakers, more pre-conference activities, a new Saturday night dinner party, and even some fun surprises that are sure to delight. You won't want to miss it as 4C women from around the globe gather for this unforgettable weekend of learning, bonding, and creating happiness at the beautiful DeSales University Main Campus. Deepen your understanding of the Women for Sobriety philosophy and other related recovery topics through four full-group sessions, three breakout periods, and traditional WFS meetings throughout. This year's theme directly relates to the New Life Program fourth Level of Recovery. Statement 3: Happiness is a habit I am developing. Happiness is created, not waited for. Statement 6: Life can be ordinary or it can be great. Greatness is mine by a conscious effort. Statement 11: Enthusiasm is my daily exercise. I treasure the moments of my New Life. Registration fees cover all meals and activities from Friday dinner at 5:30 pm to Sunday lunch at noon. Stay on campus in the dorms, then take a short stroll across campus to enjoy catered meals and conference activities. We have increased the value even more by adding the new Legacy Lounge and other informal fun activities on Thursday and Friday during the day, in addition to a dinnertime Pizza Party and WFS Meeting on Thursday night. All women taking responsibility for their recovery from a life-threatening problem with alcohol and/or other drugs are encouraged to attend. WFS is committed to honoring all expressions of female identity and we warmly welcome our sisters from the LGBTQ+ spectrum. While we understand that not all attendees will have yet accomplished stable sobriety, all WFS activities and events are sober spaces, so please make the commitment to yourself and your sisters to refrain from use immediately before and during the conference. 11:00 am Special surprise outdoor activity! 3:30 pm Special surprise outdoor activity! 10:30 am Break, last chance for book signings, bookstore purchases, etc. See Presentations & Workshops for full description. A limited number of work scholarships are available for women who might not otherwise be able to attend the conference. Scholarships are primarily funded by women who choose to donate at the time of registration; we thank them for their generosity. Please review additional information about work scholarships by visiting the Conference Scholarship Application. Scholarship applications must be received by March 31, 2019. Scholarship offers will be made on or around April 15, 2019. Applicants must accept/decline scholarships by April 30, 2019. Scholarship recipients must register no later than May 15, 2019. You will be asked to agree to the following Personal Responsibility Statement when you register. I fully understand Women for Sobriety, Inc. is an abstinence-based, self-responsibility program and agree to abide by that philosophy throughout the conference event. As a conference requirement, I understand that I need to be sober for the entire conference event. If I attend under the influence or cause a disruption, I may be asked to leave the premises at my own expense. By entering my name below, I also give my permission to WFS to contact my Emergency Contact(s) in the case of an emergency. I understand this information will be kept confidential and used only in an emergency. Please ensure that you will be able to attend for the days selected before submitting your registration and payment. Cancellations made by contacting the WFS office in writing up to 30 days in advance (by 5/6/19) may be eligible for a refund. Cancellation requests received after 6/9/19 are not eligible for a refund except in extraordinary circumstances such as documented emergency medical illness. All refunds are subject to a minimum 10% processing fee and must be approved by the WFS President. No refunds will be issued for women who are asked to leave due to violations of the Personal Responsibility Statement or unsafe behavior. WFS is not responsible for problems beyond our control such as weather conditions, campus conditions, cancelled flights, acts of God, etc. In such a circumstance, no refunds will be issued but WFS will attempt to identify a solution amicable to all affected parties. The final decision on refunds rests with the WFS Board of Directors. Karen has recorded 19 CDs of her original inspirational music, and is the author of an inspirational book, “Let Go of the Shore: Stories and Songs That Set the Spirit Free.” Among her many accomplishments, she has been a professional comedienne, led her own band for corporate events, and has been the music director and "music weaver" for many conferences and retreats. 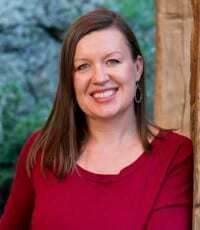 In following her passion, Karen sings, speaks, and leads workshops at women’s retreats, mind-body and health conferences, and various churches around the country, as well as working with authors like Joan Borysenko, Alan Cohen, and many others. 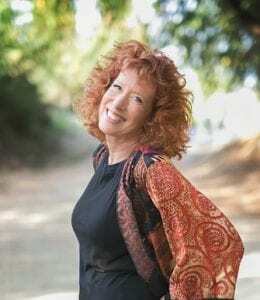 Karen Drucker has been called “a master of communicating presence and spirituality through music.” She loves making music, making a difference, and touching hearts. Karen’s presence will be woven throughout the weekend experience, including Opening and Closing Ceremonies, breakout workshops, and more! Veronica Valli has been joyously sober since May 2nd, 2000. 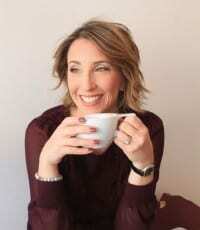 Originally from the UK, she is a psychotherapist, Emotional Freedom Technique Practitioner, Recovery Coach, and Author of books ‘Why you drink and How to stop’ and ‘Get Sober Get Free.’ She is also co-host of the Soberful Podcast. Veronica passionately believes that anyone can recover from a substance use disorder if they are given the right tools and support. She has personally helped thousands of women transform their lives. Veronica believes that substances are only a symptom of the problem and that to recover, thrive, and become the women we are truly meant to be, we need to embrace a process of change. Now based in the USA, she works with women all over the world through her online programs and Facebook groups. She is married and lives on Long Island with her husband and two sons. Veronica will be joining us for a Saturday morning keynote session, breakout session, and more! Karlee Fain is a Celebrity Health and Life Coach, author, and speaker. She specializes in showing driven women with big aspirations how to create more time and freedom in their day to do the self-care that is essential for a thriving career, health, and relationships. You’ll see Karlee’s clients on MTV, ESPN, and winning Grammy Awards; and you’ll find Karlee teaching in organizations like IBM, WeWork, and Kripalu Center. When she’s not working with clients from around the world, she lives a peaceful life, with plenty of room to breathe, in the mountains of New England. Karlee has built a career by being the most rested person in the room, and is on a mission to make sure that all women can reclaim more time to thrive too at EveryBodyThrive.com. Karlee joins us again this year for Opening Ceremony and a Saturday morning workshop. Annie no longer drinks and has never been happier. She left her executive role to write the book "This Naked Mind" and share her method with the world. Since publishing her book she has been featured in publications such as Forbes, New York Daily News, Chicago Tribune and Mind Body Green. Annie Grace wants to share her message and the ability to find freedom from alcohol with as many readers as possible. In her free time Annie Grace loves to ski, travel (26 countries and counting) and enjoy her beautiful family. Annie lives with her husband and two sons in the Colorado Mountains. Annie Grace will be doing a special live e-presentation for the Saturday afternoon keynote address. Small additional fee applies for these 3 special workshops. Please indicate your interest and pay for these add-ons at the time of registration. Already registered and still interested? Contact the office at contact@womenforsobriety.org or 215-536-8026 to be invoiced. You are a miracle!!! Deep down you know the truth about that. It’s time we celebrate the miracle of “You”. All too often our personal life has brought us to the precipice of challenging distress… and yet still we stand!!! Together we will explore and share the paths we have chosen that returns us to the courage of our living heart. .O was certified in 1979 as a massage therapist and has made health and well-being her personal commitment and life's purpose. She is a group facilitator with many years of experience in body wisdom, stress modification, and the healing powers of love. Her new passion is participating in theater, promoting social change, and addressing issues involving domestic violence, alcohol and drug use disorders, economic justice, and environmental justice. .O has provided presentations and workshops for various organizations and has appeared on radio and TV talk shows. One of the definitions of enthusiasm is: intense and eager enjoyment, interest, or approval. What would our lives be like if we lived a daily practice of enthusiasm? Together we will design our personal action steps to living a life of enthusiasm. Please bring a journal for co-creating a Daily exercise practice of Enthusiasm. Please see .O's bio above. 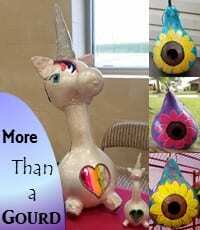 Attendees of last year's Conference are sure to remember the infamous unicorn lamp, which sold for hundreds of dollars at the 2018 Annual Fundraising Auction. Luckily for us, the artist who designed this unique piece has graciously agreed to do this year's paint party! Ruth will supply the dried and prepped gourds, paints, and other supplies, along with instructions on how to create one of her signature Sunflower Birdhouses. Don't worry, travelers - dried gourds are very light and easy to ship or fit in your suitcase. Ruth will also do a drawing for a free small unicorn for workshop participants! Ruth is a local artist who carves and paints gourds, transforming them into something beautiful. Though she does many events in Pennsylvania, she sells her gourds all around the world, as well as bringing the joy of painting to others by hosting regular painting parties. Check out more of Ruth's amazing creations here. When you sign up for the Murder Mystery Dinner, you need not worry that you will be asked to perform. You will be able to sit back and relax while the CCL’s play out the scenes during your meal. You will receive a kit with instructions and clues so you can play detective with the other women at your table to see if you can solve the crime! The setting is 1969 at the Mount Rushmore Beauty Academy, an all-girls school where many changes are coming. This includes MEN being admitted to the school! Naturally this has some of the women in a tizzy, which results in a murder that takes place at a social for the graduating class. Which CCL will be the cold-blooded killer? Will it be Jane Dodget, Rushmore’s Dean of Students who abhors the thought of men attending Rushmore? Will it be Kat Overton, the top student of this year’s graduating class who is reputed to be a troublemaker? Sign up to join your Sister Sleuths for Rushmore’s Revenge, an Interactive Murder Mystery Dinner, the first ever of its kind at the WFS Conference this year. Hearing that voice of truth encouraging you to be who you are really called to be. We all have times in our lives where we feel that a change is happening and can’t quite figure out which direction we are meant to go. In this workshop we take the time to discern what is ours to do, and how we can let go into that “something more”. I feel the call and it’s asking "What am I here for?" Karen is this year's Headliner - please find her bio at the top of this page. Woman, you are wise. I bet you know at least 3 things that could help you experience more happiness, but how are you supposed to have time for that when you already have so much on your plate? You know you could be doing more, or better in some key areas, but you just don't know how to squeeze that into your already full day of responsibilities. You feel like there is never enough time, and that has you feeling like you are never enough. That “never enough” feeling is the thief of all dreams. It keeps you stuck, depleted and repeating the same challenges again and again. Having more space to breathe, and move forward mindfully, is foundational to recovery and living a thriving life and career. Knowing what your heart REALLY wants, and how to have space every day to experience more of what uplifts and inspires your greatest joys. Discover what thoughts and activities are secretly sabotaging your time and zapping your energy, and what to do about it. Understanding the 3 mindsets that women who have time abundance live into, so you can start feeling like you can breathe again on the spot. Take home the 3 minute Reclaiming Time Tool that Karlee, and all of her clients, use to make sure that having time abundance becomes your new normal for the long-term. This workshop is taught through a variety of deeply engaging approaches, including interactive handouts, discussion, scientific research, storytelling and humor. Karlee will customize the conversation to the exact women in the room, weaving a thread in this workshop that leads you home to your deepest wisdom, clarity and joy. Everyone who attends can expect to leave with their own “aha” moment. Karlee is one of this year's Featured Presenters - please find her bio at the top of this page. In this workshop we will get to know our WFS sisters more deeply through interactive group exercises. Moving from easy and comfortable to more vulnerable and intimate sharing, we will discover each others' personalities and develop more meaningful connections. Whether it is from the very beginning or as we move deeper, at some point we will push the edge of our comfort zone. By doing this we will become vulnerable, and with vulnerability comes meaningful and authentic connection. Through video and presentation we will explore the concept of "the opposite of addiction is connection." We will learn more about the neurochemistry and neurobiology of happiness and friendship. We will end with a meditation and red cord ceremony setting our intention to live with presence, wisdom, and connection. I began my journey in recovery here at WFS in June of 2014. Six months of hard work and lots of soul searching led to a sobriety date later that year and I became a CCL in January of 2015. Giving back to WFS through volunteer work in any capacity has been one of my greatest joys. When I needed a soft place to land, WFS was here for me. I intend to do my very best to contribute to any legacy that makes that true for all women who need help in the future. Compassion and connection have helped me to thrive in recovery, not merely survive. I am a fur-mom of two lovely mutts, and I have two grown daughters and one new grandbaby...and a life worth living for all of them as well as for myself. This is an information workshop! Positive tips, solutions, and encouragement in leading or getting a WFS meeting started will be provided. This will be a sharing of experiences as well. Our goal is to keep the f2f meetings active and build confidence in creating new ones. Dee has served as a Certified Moderator for WFS face-to-face meetings for over 25 years and was the President of WFS from 2006 to 2017. She helps with member responses to Monday Thoughts and continues to serve as an Honorary Board Member. Dynamic Gentle Chair Yoga meets you where you are! It includes purposely using the breath along with delicious slow movement for stress relief and increased flexibility. Yoga practice with the support of a chair can be surprisingly deep and effective. Used as a prop, the chair supports the body in seated and standing postures to find safe alignment as we journey towards better flexibility, stamina, posture, strength and peace of mind. Dynamic Gentle Chair Yoga is for women who may not be able – or who may not want to get down to the floor. All are invited to this workshop! In fact, just sitting in a chair and being in the room with us is all you need to reap many of the benefits of the class. Yoga is for Everyone and I can prove this to you! Come one, come all. Mary became a Certified Yoga Instructor two years ago, fulfilling a life long dream, all due to her new life. With continuing personal, physical alignment issues due to osteo arthritis Mary has taken her Basic Gentle Yoga teaching techniques – to the chair! She has participated in several workshops & is studying towards an additional certification in a Program entitled Dynamic Gentle Chair Yoga! Recognizing how kindness, gratitude, and using self care can transform your life. Gratitude and being kind to ourselves and others is a spiritual practice that can transform our lives. How many of us actually do that? In times of distress do we allow ourselves to be truly kind, compassionate, and gentle with ourselves, or do we allow our inner critic to get in the way and mentally beat ourselves up? I know that I am guilty of not always treating myself in a kind and gentle way. I wrote this chant for myself to remember that I always have a choice. Discover techniques to nurture ourselves and choose new ways of being. Practice the art of extreme self-care, and being kind to ourselves. Discover the freedom of not having to be perfect! “ I will be gentle with myself. I will be gentle with myself. WFS's founder, Dr. Jean Kirkpatrick, said that "sobriety is to be enjoyed, not endured." When we take the first steps into recovery, joy seems to be the furthest thing from our mind... So, how do we invite happiness back into our life? How do we create our own happiness? This session will explore some of the science behind happiness in the context of recovery, using hands-on demonstrations and cooperative activities. Prepare to dive into the neuroscience and psychology of happiness, in a fun and accessible session where we'll practice what we learn. PerditaX has been an active member of WFS since she was lucky enough to discover it at the start of her recovery journey. As a professor of a natural science, she finds exploring the scientific literature about addiction and recovery to be an essential part of her own sobriety, and she enjoys using her teaching experience to share that information with others. If you've come to one of her chats on the forum, you know she fully embraces the idea that we're sober, not somber, and thinks that sobriety is to be enjoyed. Sustainable Sobriety: What is it and how do I get it? In this workshop I will present the foundations of sustainable sobriety for long term recovery. The foundations of Movement, Connection, Balance, Process and Growth are essential for us to thrive in our recovery as we did not quit our addiction to be boring and miserable. Instead, in sobriety we have the opportunity to finally be the women we were always meant to be. Substances were just a symptom of our problem - our real problem was our thinking and feelings. This doesn't go away when we get sober; on the contrary, we discover substances were a crutch and now we have to learn how to deal with life. In this workshop we will explore the foundations of your sobriety, identify blocks and what resources you need to remove them so you can thrive and flourish in recovery. Veronica is one of this year's Featured Presenters - please find her bio at the top of this page. It’s Sunday morning, whether you wake up bubbly or brooding we’ll keep it simple, solid, and soulful! Guided movement linked with breath for first timers and returnees designed to unite, uplift, and ground your energies for departure day. Flexibility and coordination optional! Karen is a professional level Kripalu yoga educator and founder of Yoga to Work. Her intuitive approach is grounded in science, reverence, and humor and she is sought after in holistic-minded workplaces, schools, and healing centers. Human beings have used dance to express happiness and joy for thousands of years! The magical combination of music and motion feeds our creative souls and helps us love, accept, and appreciate our amazing bodies. Dancing is a fun, inexpensive way to give ourselves the gifts of exercise and self-care, which can be powerful and effective tools in our recovery toolboxes. In this workshop, we will discuss how exercise can increase happiness in our New Lives through its psychological and physical benefits. We'll put these ideas into practice by learning some basic, gentle belly dancing steps and experience the joy and happiness that dancing together creates. No previous dancing experience is required and all bodies and all physical abilities are welcome. If you like, feel free to bring a colorful scarf to tie around your waist, a belly dancing hip scarf, a flowing skirt or pants, or fun, jingly jewelry to help you shake your shimmy! Rebecca has been a WFS participant since 2014 and became a Certified Moderator in 2017. Regularly attending face-to-face WFS meetings and using the 13 statements of the New Life Program have been central to her long-term recovery. Last fall, she returned to school to become a licensed alcohol and drug counselor in Minnesota. Rebecca has enjoyed many kinds of dancing as a hobby since middle school. She studied and taught Middle-Eastern dance at the Cassandra School and performed in Cassandra Shore's Jawaahir Dance Company in Minneapolis, Minnesota. Diets don't work for extraordinary women. You are a unique woman with unique goals. Unlock the custom foods that will help fuel your specific goals and beauty. This is for you if: you want to learn the small upgrades you can make to your favorite eats that will save you time and make your beauty routine easier. Expect to walk away with: The confidence to take control of your beauty in your kitchen rather than your wallet and the recipes and nutrient resource guide to save you time. Vivian's passion for health and living a unique lifestyle led her down an unexpected path that would cause her to be requested by many celebrities, touring with some full time. Having graduated from the Institute of Integrative Nutrition where she was trained by the leaders in healthy food and living, Vivian combines her awareness of what a body needs to thrive from the inside out, coaching women for nutrition and lifestyle breakthroughs. Are you feeling stuck in sobriety? Feel a rut in your recovery? Something truly magical happens when we take pen to paper. This workshop can open a portal to possibility and unleash adventure in your New Life. Beginning with the discovery of what feelings and emotions are, we will dive into expressive writing for well-being. We will learn about how writing is healing for the physical body as well as the mind, and about different methods of writing aimed for specific results. Let the fun begin now! Go to your local store or bookstore and browse the aisles. Find a notebook or journal, one that catches your eye or maybe you just love the colors. Whether your journal is hand-made or store bought doesn’t matter, what matters is what you put into it. Get ready for a discussion and bouncing ideas off each other for writing prompts. Together, we will begin your page one. Your writings will be as personal as you are, and there will not be any requirement to share any of your writing. Karen Hamm is a passionate volunteer for Women for Sobriety. After becoming familiar with the New Life Program, Karen started the WFS Tuscaloosa group in 2010. She later joined the WFS Board of Directors and now serves as Chairman of the Board. Karen has been instrumental in leading the organization towards growth and also serves on the Materials and Literature Management Team. Karen has continued the legacy established by "fourcwoman" in continuing the Monday Thoughts weekly message, and her previous email series was published by WFS in the A New Life Journey booklet collection. Today, Karen lives with her husband on the Alabama river and enjoys life on the water. She spends her spare time sketching, painting, and leading WFS into the future. Join us as we explore this year's joyful theme of Hello Happiness with these fun additional activities. Everything listed on this page is included in the registration fee and does not require additional registration. Celebrate the women who built the New Life Program in our new Legacy Lounge! Watch videos of Dr. Jean Kirkpatrick speaking, thumb through photo albums of conferences past, and enjoy original artwork and crafts that have been donated to the office over the years. Long-term participants are encouraged to bring items to share! Out of respect for the privacy of all attendees, photos are discouraged during most conference activities. Those wishing to memorialize the fun of the weekend are encouraged to gather their friends in the designated Selfie Booth. A joyful backdrop and fun props will be provided! What do you do with all those recovery books you've already read? Share them with your 4C sisters! We will have a table set up near the official WFS bookstore for you to leave your gently-used books and pick up some new ones. Any books left over at the end of the event will be donated to The Village of Hope women's home, a 2-year recovery transitional living facility for women. Connect further with your favorite presenters and bring a little special something home with you. Specific times for presenters TBD. Join your fellow early risers for morning bonding activities. Friday & Saturday, 6:30 am - Morning Walk - Meet in the Donahue Lobby for a casual, 30-minute morning walk around the beautiful DeSales campus and surrounding neighborhood. Led by lilbear60. Sunday, 7:00 am - Faith, Fellowship, and Spiritual Growth in Sobriety - Join us as we explore implementing our own personal faith journey with the Statements to enhance our spiritual growth. Non-denominational discussion will focus on the Christian faith tradition and bible verse Luke 10:38-42, the story of Martha and Mary. Led by inspired13. Put on your pajamas and join us in a soothing mandala coloring activity. Adult coloring books and colored pens and pencil sets will be supplied. 1:00 pm - MyIntent Bracelets - We will have thought provoking questions, meaningful conversations, and support each other as we decide what word we want on our bracelet, a daily reminder of what we want to focus on in our New Lives. Sponsored and led by boomerbuns. 3:00 pm - Bloomers Meet and Greet - New to WFS or new to the conference? Join the Bloomers for a meet and greet! Creative non-alcoholic drinks and light snacks will be served. Everyone welcome! Sponsored and led by the Healthy Living Group, the Bloomers. 5:30 pm - Pizza Party - Relax after your travels and make some new friends with pizza, sides, and drinks from a local pizzeria. Sponsored by WFS, Inc.
9:00 am - Tech Toolboxes - Are you looking to update or organize your toolbox? If so, come learn how to create and maintain an e-toolbox. Store all of your handy "go-to" solutions in one electronic document. Learn how to create tables and insert live links and bookmarks to easily arrange and access everything you need right at your fingertips. This interactive session will show you how to link and store helpful articles, podcasts, websites, and posts from our own WFS resources - all in one place that can even be accessed from your phone. You need a laptop to begin to build your new e-toolbox, but all are welcome! Led by TruPat. 10:00 am - MyIntent Bracelets - We will have thought provoking questions, meaningful conversations, and support each other as we decide what word we want on our bracelet, a daily reminder of what we want to focus on in our New Lives. Sponsored and led by boomerbuns. 2:00 pm - Bloomers Welcome Bash - A welcome part for those who are newer (or not!) to the WFS conference! Sponsored and let by the Healthy Living Group, the Bloomers. Join us for an evening of food and entertainment on Saturday night as we celebrate the exciting changes taking place at Women for Sobriety. Take a break from the buffet line and enjoy a leisurely family-style meal with your new 4C friends. Hear about how changes in the WFS organizational structure, along with empowerment of an unprecedented number of volunteers, is enabling the New Life Program to reach and help even more women who are overcoming life-threatening problems with alcohol and other drugs. Experience the joy of giving with WFS's first ever Paddle Raise fundraiser, and conclude with sober singing and dancing. Women are invited to dress up if they wish, or come in shorts and a t-shirt if they prefer. What is worn is not important - it is the fun that counts! Click here to access the interactive campus map. You may also download a printable pdf. See below for more travel information. Registration fee includes lodging in Donahue Hall on the DeSales University main campus. Dorm rooms are furnished with two Twin Extra Long beds, 2 dressers, 2 desks, and 2 armoires (hangers not included). Each room has its own sink and mirror; a toilet/shower room are shared between adjacent rooms. A single pillow and linen pack with a flat sheet, fitted sheet, pillowcase, blanket, washcloth, and 2 towels are provided for each guest. There is no maid service and guests make their own beds upon arrival. For those selecting the double room option, you may specify a roommate or let us choose one for you; roommate preferences must be received by May 19th, 2019. Single rooms are available for an additional charge; please note that toilet/shower room will still be shared with at least one other guest, possibly 2 depending on availability. DeSales University collects a $5 key deposit at time of check-in. Please bring $5 cash for this purpose. Money is refunded at time of check-out, although many women choose to not get their refund and have DeSales forward the money to WFS as a donation. Staying in the dorm is a fun way to bond with other attendees - and save a little cash. Women are seen visiting in lounge areas late into the night, and there are often meetings and other activities in the building. The number of rooms in Donahue Hall is typically sufficient for our group; however, if many women request single rooms, or if a larger than usual number of women register, overflow accommodations in another building may be necessary. For women who prefer to stay in a hotel or who live locally, a Day Pass rate is available. Donahue Hall is a short walk (less than 1/2 mile and ADA-accessible) from the University Center, which houses the Dining Hall and the Conference Center. Women frequently drive between the two buildings and are typically happy to accommodate women with mobility challenges; post in the WFS Conference News section of the WFS Online community if you prefer to make such arrangements ahead of time. Friday dinner through Sunday lunch are all included in registration fees (including the Day Pass). DeSales Dining Services prepares these meals, which typically include a selection of hot food items along with a salad and dessert bar. Sunday lunch is deli-style and includes a "grab and go" option for those who need to leave early. We will again offer beverage service at the University Center during morning and afternoon breaks. The Thursday night Pizza Party is delivered by a local pizzeria and includes a selection of pizzas, salads, fruit & veggie platters, and drinks. Self-service coffee will be available in the dorm lobby throughout the weekend. Women often bring snacks and other goodies to leave out to share; buffet tables will be available in the dormitory lobby for this purpose. Thursday and Friday breakfast and lunch are not included in registration fees. The University Center Food Court (at the University Center building) is typically open between 8:30 am and 1:30 pm during summer weekdays. Women often coordinate group meals at local diners and restaurants on Thursday and Friday, as well. Please indicate at the time of registration if you have any individual considerations that should be taken into account, such as needing an ADA room, food allergies, special medication storage needs, etc. We will do our very best to accommodate all of our guests' needs. Visit the DeSales University Location & Directions page here. All attendees (including Day Pass participants) must check in upon arrival at Donahue Hall to receive their welcome pack and badge. The following information about third-party providers is included for reference only; WFS is not affiliated with any of these transportation agencies and is not responsible for services provided by them. Many women coordinate ride shares and similar arrangements on the WFS Conference News section of the WFS Online community. Lehigh Valley International Airport (ABE) - 12 miles/20 minutes from campus. This is the closest airport to the campus; it is a small airport and is not served by all airlines. Visit ABE's ground transportation page for information about car and limo services. Taxis are available at the airport; however, due to the rural location of DeSales, it is recommended that you reserve your taxi back to the airport 24 hours in advance. Philadelphia International Airport (PHL) - 62 miles/90 minutes from campus. PHL is a major hub for many airlines so airfare is usually cheaper, but ground transportation costs are higher. Drive time is increased due to having to pass through downtown Philadelphia. Most women who fly into PHL rent a car or coordinate ride shares with other attendees. Newark Liberty International Airport (EWR) - 80 miles/80 minutes from campus. EWR is also a major hub for many airlines and may save money, but, again, ground transportation costs are higher. Even though it is physically further away than PHL, drive time to the DeSales campus from EWR is frequently shorter due to not having to pass through any major metropolitan areas. Visit the DeSales University Location & Directions page here for instructions from multiple directions. Donahue Hall, where you will need to check in, is listed in both Waze and Google Maps. These services will provide directions right to the building (because it is part of a college campus, there is no street address for Donahue Hall to enter into other mapping software). Trans-Bridge Lines provides limited bus services from locations in New York, New Jersey, and other areas of Pennsylvania. The Hellertown Park & Ride stop is the closest to campus, just under 8 miles away, so additional arrangements (rideshare or taxi) will need to be made. Local taxi services with high online ratings include Metro Transportation, LLC (484-655-8888) and Elise's Taxi Service (908-878-7378). A tradition since 1994, the WFS Annual Fundraising Auction is held every year during the conference weekend. This fun event is a great way to show off your New Life art and crafting skills, and raise funds to support the services of WFS. This year's auction will include the usual Silent Auction, and tables will close during breakfast and lunch on Saturday. A Paddle Raise (see below) will be held during the Saturday night dinner event, The Joy of Transformation. Vintage jewelry and other vintage items in excellent condition. Custom artwork, especially when it is related to the New Life Program. Items personalized with the 4C's, Acceptance Statements, and other New Life sayings. Self-care- and personal-growth-oriented items, especially ones that can be easily related to the New Life Program. Books signed by New Life Program founder Dr. Jean Kirkpatrick. Handmade items created by family members - especially when a hand-written note sharing how their loved one's recovery has affected them is included. Used books (there is an open donation table for sharing recovery literature with each other). Multiple similar items - these may be placed on an open donation table rather than auction tables. When multiples of the same or similar items are received, or items of low monetary value that are not likely to generate larger donations through auctioning, we may place them on the Open Donation Tables. This includes all used books and other items brought for our traditional book exchange (the only exception will be for specialty, one-of-a-kind, or custom-made books, brand new books that are included in a themed gift basket, or books signed by WFS founder Dr. Jean Kirkpatrick). Item donors may choose to recommend a donation amount or they may leave it entirely up to the receiver. Donations for items on these tables can be left in the donation jars available, processed through the bookstore register, or combined with payments for Silent Auction items. For those who are traveling or can't find anything in the Silent Auction to bid on, we will be doing a Paddle Raise this year during our Saturday night Joy of Transformation event. For those of you who are not familiar with how a Paddle Raise works, it is very simple. The auctioneer will call out a donation amount - say $100 - and request that everyone who wishes to donate that amount "raise their paddle." The auctioneer will progress through different levels of giving. As the number of bidders increase, so too does the excitement!